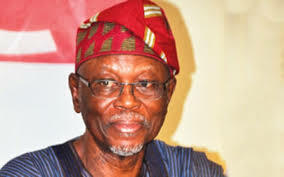 Oyegun said this when a high-level delegation of members from the state, led by the APC governorship candidate, Dr. Dakuku Peterside visited him at the party’s national secretariat in Abuja yesterday. The national chairman expressed shock over the Su­preme Court’s decision on the Rivers State governorship election and assured Dakuku and his entourage that the party’s national leadership will give necessary support to ensure successes in subsequent elections in the state. This was just as the Rivers chapter of the party request­ed audience with President Muhammadu Buhari. “Your visit has had a sober effect on me. This meeting will kickstart urgent actions to address what went wrong. As at today, there are attempts by INEC to bar us from elections in Anambra and other states. He promised to take up their request to facilitate a meeting with Mr President. Speaking earlier, on behalf of the delegation, Dakuku said: “It will interest you to know that many of our mem­bers, supporters and sympathisers are still at a loss to see us work as orphans. We have a herculean task explaining to them that we actually form government at the centre. “It is like we lost the elections. To an overwhelming majority of them, the only indication that we might be part of government at the federal level is because our leader and Director General of the APC presidential campaign, Chubuike Rotimi Amaechi, is a minister of the Federal Republic of Nigeria. The concerns of our members are re-enforced by the fact that more than eight months after APC has formed government at the federal Level, notable PDP chieftains and members who spent state resources to work assiduously against us (APC) are still occupying strategic federal government positions, dispensing patronages to PDP members to the disadvan­tage and chagrin of APC members,” he added.